Marshal Rodolfo Graziani, 1st Marquis of Neghelli (Italian pronunciation: [roˈdɔlfo ɡratˈtsjaːni]; August 11, 1882 – January 11, 1955), was a prominent Italian military officer in the Kingdom of Italy's Regio Esercito (Royal Army), primarily noted for his campaigns in Africa before and during World War II. A dedicated fascist, he was a key figure in the Italian military during the reign of Victor Emmanuel III. Graziani played an important role in the consolidation and expansion of Italy's empire during the 1920s and 1930s, first in Libya and then in Ethiopia. He became infamous among the other colonial powers for repressive measures that led to high loss of life among civilians. In February 1937, after an assassination attempt during a ceremony in Addis Ababa, Graziani authorized a period of brutal retribution now known as Yekatit 12. Shortly after Italy entered World War II he returned to Libya as the commander of troops in Italian North Africa but resigned after the 1940-41 British offensive routed his forces. Following the 25 Luglio coup in 1943, he was the only Marshal of Italy who remained loyal to Mussolini and was named the Minister of Defense of the Italian Social Republic, commanding its army and returning to active service against the Allies for the rest of the war. Graziani was never prosecuted by the United Nations War Crimes Commission; he was included on its list of Italians eligible to be prosecuted for war crimes, but post-war Ethiopian attempts to bring him to trial were resisted by Italy and Britain. In 1948, an Italian court sentenced him to 19 years' imprisonment for collaboration with the Nazis, but he was released after serving only four months. Rodolfo Graziani was born in Filettino in the province of Frosinone. In 1903, he decided to pursue a military career. Graziani was stationed in Italian Eritrea and served in the Italo-Turkish War, where he was promoted to Captain. He saw action in World War I and became the youngest Colonnello (Colonel) in the Regio Esercito. In the 1920s, Graziani was appointed by the new Fascist government to be commander the Italian forces in Libya. He was responsible for suppressing the Senussi rebellion. During this so-called "pacification", he was responsible for the construction of several concentration camps and labor camps, where thousands of Libyan prisoners died. Some prisoners were killed by hanging, like Omar Mukhtar, or by shooting, but most prisoners died of starvation or disease. His deeds earned him the nickname "the Butcher of Fezzan" among the Arabs, but he was called by the Italians the Pacifier of Libya (Pacificatore della Libia). In 1930, he became Vice-Governor of Cyrenaica and held this position until 1934, when it was determined that he was needed elsewhere. In 1935, Graziani was made the Governor of Italian Somaliland. During the Second Italo-Abyssinian War in 1935 and 1936, Graziani was the commander of the southern front. His army invaded Ethiopia from Italian Somaliland and he commanded the Italian forces at the Battles of Genale Doria and the Ogaden. However, Graziani's efforts in the south were secondary to the main invasion launched from Eritrea by Generale Emilio De Bono, later continued by Marshal of Italy Pietro Badoglio. It was Badoglio and not Graziani who entered Addis Ababa in triumph after his "March of the Iron Will". But it was Graziani who said: "The Duce will have Ethiopia, with or without the Ethiopians." 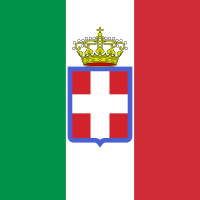 Addis Ababa fell to Badoglio on 5 May 1936. Graziani had wanted to reach Harar before Badoglio reached Addis Ababa, but failed to do so. Even so, on 9 May, Graziani was awarded for his role as commander of the southern front with a promotion to the rank of Marshal of Italy. During his tour of an Ethiopian Orthodox church in Dire Dawa, Graziani fell into a pit covered by an ornate carpet, a trap that he believed had been set by the Ethiopian priests to injure or kill him. As a result, he held Ethiopian clerics in deep suspicion. After the war, Graziani was made Viceroy of Italian East Africa and Governor-General of Shewa / Addis Ababa. After an unsuccessful attempt by two Eritreans to kill him on 19 February 1937 (and after other murders of Italians in occupied Ethiopia), Graziani ordered a bloody and indiscriminate reprisal upon the conquered country, later remembered by Ethiopians as Yekatit 12. Up to thirty thousand civilians of Addis Ababa were killed indiscriminately; another 1,469 were summarily executed by the end of the next month, and over one thousand Ethiopian notables were imprisoned and then exiled from Ethiopia. Graziani became known as "the Butcher of Ethiopia". In connection with the attempt on his life, Graziani authorized the massacre of the monks of the ancient monastery of Debre Libanos and a large number of pilgrims, who had traveled there to celebrate the feast day of the founding saint of the monastery. Graziani's suspicion of the Ethiopian Orthodox clergy (and the fact that the wife of one of the assassins had briefly taken sanctuary at the monastery) had convinced him of the monks' complicity in the attempt on his life. From 1939-1941, Graziani was the Commander-in-Chief of the General Staff of the Regio Esercito. German and Italian state officials attending the funeral of Rome police chief and prominent Fascist Party member Arturo Bocchini on 21 November 1940. From left to right, Karl Wolff, Reinhard Heydrich, Adelchi Serena, Heinrich Himmler, Emilio De Bono, Graziani, and Hans Georg von Mackensen. At the start of World War II, Graziani was still Commander-in-Chief of the Regio Esercito′s General Staff. After the death of Marshal Italo Balbo in a friendly fire incident on 28 June 1940, Graziani took his place as Commander-in-Chief of Italian North Africa and as Governor General of Libya. The Italian dictator Benito Mussolini had given Graziani a deadline of 8 August 1940 to start to invade Egypt with the 10th Army. Graziani expressed doubts about the ability of his largely un-mechanized force to defeat the British and put off the invasion for as long as he could. However, faced with demotion, Graziani ultimately followed orders and elements of the 10th Army invaded Egypt on 9 September. The Italians achieved only modest gains in Egypt and then prepared a series of fortified camps to defend their positions. In November 1940 the British counterattacked and completely defeated the 10th Army during Operation Compass, after which Graziani resigned his commission. On 25 March 1941, Graziani was replaced by General Italo Gariboldi, and Graziani remained inactive for the next two years. Graziani was the only Italian Marshal to remain loyal to Mussolini after Dino Grandi's Grand Council of Fascism coup. He was appointed Minister of Defense of the Italian Social Republic by Mussolini and oversaw the mixed Italo-German Army Group Liguria (Armee Ligurien). Graziani was able to defeat the Allied Forces in the "Battle of Garfagnana" in December 1944,using a mixed Italian / German force including the "Monte Rosa" alpine division and the "San Marco" marine division. At the end of the Second World War, Graziani spent a few days in San Vittore prison in Milan before being transferred to Allied control. He was brought back to Africa in Anglo-American custody, staying there until February 1946. Allied forces then felt the danger of his assassination or lynching had passed (many thousands of fascists were murdered in Italy in the summer and autumn of 1945), and returned Graziani to the Procida prison in Italy. In 1948, a military tribunal sentenced Graziani to 19 years in jail as punishment for his collaboration with the Nazis, but he was released after serving only a few months of the sentence. He was never prosecuted for specific war crimes. Unlike the Germans and Japanese, the Italians were not subjected to prosecutions by Allied tribunals. In the early 1950s, Graziani had some involvement with the neofascist Movimento Sociale Italiano, and became the "Honorary President" of the MSI party in 1953. In January 1955, Rodolfo Graziani died of natural causes in Rome, aged 72 years. The League of Nations failed to try Graziani and other Italian authorities before World War II. In 1943, the Allied Powers agreed to create a new body to replace the League: the United Nations. The "United Nations War Crimes Commission" was created to investigate war crimes. On March 4, 1948, charges against Graziani were presented to the United Nations War Crimes Commission. The commission was presented with evidence of the Italian policy of systematic terrorism and Graziani’s self-admitted intention to execute all Amharas authorities, and cited a telegram from Graziani to General Nasi, in which Graziani had written, “Keep in mind also that I have already aimed at the total destruction of Abyssinian chiefs and notables and that this should be carried out completely in your territories.” The UN commission agreed that there was a prima facie case against eight Italians, including Graziani. The British Foreign Office consistently opposed Ethiopia’s inclusion in the United Nations War Crimes Commission and the trial on Italian crimes committed during the 1935–1936 invasion. Ethiopian efforts to bring Graziani to trial were frustrated by intransigence from both Italy and Britain; the attempts were finally abandoned in a deal with the Foreign Office, whose support the Government of the Ethiopian Empire considered essential for its Imperial claim on Eritrea. In 1948, an Italian tribunal condemned Graziani to 19 years. However, he served only four months of his sentence, because his lawyers demonstrated that he "received orders". In 2012, a "Fatherland" and "Honour" monument was created as Graziani's tomb in the Italian town of Affile. In August 2012, $160,000 of public money was used to finance a monument in his honor, supplemented by private funding by Ettore Viri, the town of Affile's mayor. Engraved in the mausoleum are the words "Fatherland" and "Honour". Local left-wing politicians and national commentators harshly criticized the monument, whereas the "mostly conservative" population of the town appeared to approve of it. Public funding for the Graziani monument has been suspended by the newly elected Lazio administration after the 2013 regional elections. A statement from Ethiopia's Ministry of Foreign Affairs said he did not deserve to be memorialized but rather should continue to be condemned for his war crimes, genocidal activity and crimes against humanity. He was portrayed by actor Oliver Reed in the movie Lion of the Desert. Del Boca, AngeloNaissance de la nation libyenne, Editions Milelli, 2008, ISBN 978-2-916590-04-2. Pankhurst, Richard. History of the Ethiopian Patriots (1936-1940), The Graziani Massacre and Consequences. Addis Abeba Tribune editions. ↑ "Graziani, Rodolfo". Treccani.it. Enciclopedia Treccani. Retrieved 11 June 2014. ↑ Mockler, Anthony (2003). "4". Haile Selassie's War. New York: Olive Branch. 1 2 Bruh Yihunbelay. "The Reporter - English Edition". thereporterethiopia.com. tc = G. of Tripolitania and Cyrenaica. v = Deputy of the G. of Cyrenaica (G. of Tripolitania). h = Honorary since 1-1-1934.